Ampacity Electric is an owner operated residential electrician located in North Arlington, serving surrounding towns in Essex, Bergen, and Passaic counties including North Arlington, Kearny, Lyndhurst, Nutley, Fair Lawn, Rutherford and more. See our Service Areas for additional information. 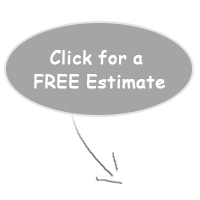 We provide free written estimates before we start. We are on time, every time- guaranteed. Your house will be left clean and neat. You will be provided with first class service. 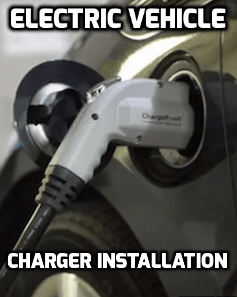 We specialize in all facets of electrical work including electrical service and panel upgrades, generator installation, and electric car charger (EVSE) installation. We have years of experience bringing older homes up to date and making the electrical system safe. 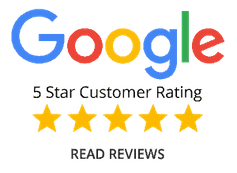 We set ourselves apart from other electricians by being caring and responsive to your needs, respecting your property, cleaning up and leaving no mess, and by providing guaranteed workmanship. Your family's safety and security is our top priority. You are Guaranteed Quality Work! Ampacity Electric, your northern NJ electrician, is a Licensed, Insured, and Bonded electrician and electrical contractor. You are never left guessing because we provide flat rate & consistent up front pricing. We always quote you the full price of the job before we get started. No hidden charges and no over charges. We have a very strict "No Pressure" sales policy. We never use "sales tactics" and you will never feel coerced into having work done. The owner oversees all work and has almost 20 years of experience. We take pride in our work and do it with attention to detail. You and your home will be treated with the greatest care. Our work areas will be kept neat and clean. Our electricians take the time to listen to you and explain the details of the installation. A successful project can only be obtained with proper communication. Your time is important to us. Ampacity Electric will arrive on time and keep your project on schedule. You get a licensed and experienced professional working on your home, not a handyman or laborer. You receive a Lifetime Guarantee on all labor. We stand behind our work 100%. 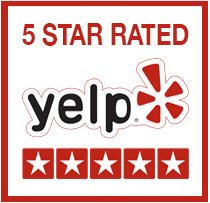 Andrew was pleasant and professional, experienced and knowledgeable. The price I was quoted for the job was the price I paid. Great job - will definitely call again. Thanks! I recently hired Ampacity to do some work in my home, and they were the most professional contractors I've ever worked with. I'm really happy with the experience and will definitely call them again.